Study our recommendations on barcodes closely. Use them in your design and rest assured that your barcode reads perfectly at the checkout. 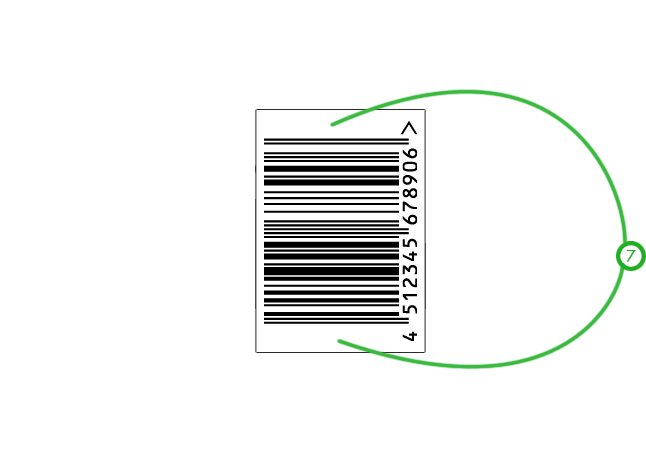 Ball recommends that you always add the "<" to the left hand side of the barcode to safeguard the quiet zone at the start of the barcode. Also add ">" to the barcode on the right hand side to safeguard the quiet zone. UPC-A codes consist out of 12 digits. The far left digit is always placed to the left of the first bar and the far right digit to the right of the last bar. This is done to safeguard the quiet zone on either side. UPC-E codes may only be used to encode GTIN-12 element strings that commence with a zero and contain a sequence of four or five zeroes in defined positions. Following the rules of these codes the zeroes are not displayed in the code. Hence the reason the code will be smaller than the UPC-A code, only counting 8 positions in total. Note: aluminium of the can does not reflect the light of the scanner and therefore reads as black. The same thing happens if you use a transparent colour for the background. It is therefore not possible to use a transparent colour as background colour for the barcode. 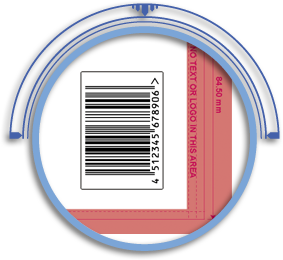 Certain markets have specific legal requirements for barcodes on packaging. Click on the country flag to view the specific requirements for that country. 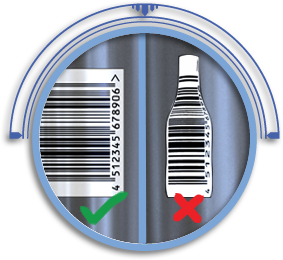 It is the brand owner's responsibility to make sure all rules and legislations with regards to barcodes for the market the can is sold in are checked, understood and implemented on the design. Ball is not liable for any claims arising from violation of the law or regulations on barcodes. The EAN/UPC symbology family of barcodes can be read omnidirectionally. These symbols must be used for all items that are scanned at the Point-of-Sale. Specifications below are enforced by local authorities and should be adhered to when your cans are sold in this market. Barcodes must be placed “Ladder fashion” on your design. 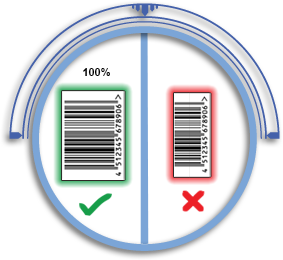 Barcodes should be placed in the main design area (Overlap & neck areas are excluded). Barcodes should be printed 100% size to guarantee good readability. 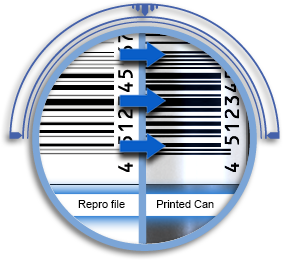 Maximum reliable scale reduction of barcodes is 85% for can printing (certain markets excluded as specified). Important: By reducing the size of the barcode, the operating margin which is needed to print barcodes on a can is tightened. Barcodes below 100% might cause delays during checkout operations. 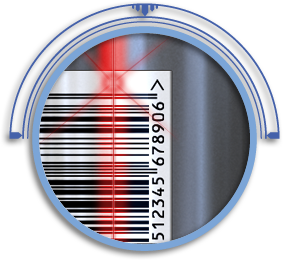 The height of the bars is of paramount importance for the omnidirectional possibilities for barcode scanning. Changing the height of the bars by itself reduces the readability of the barcode in all directions. This causes delays in checkout operations. See for barcode sizes also the EAN / UPC symbol specification section in this website. 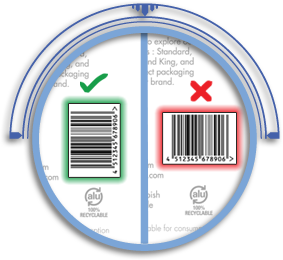 Ball does not guarantee the readability of barcodes which are truncated in height. 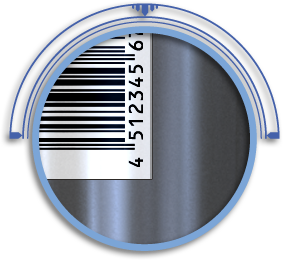 The optimal colours for a barcode on a can are black bars with a white infill colour. 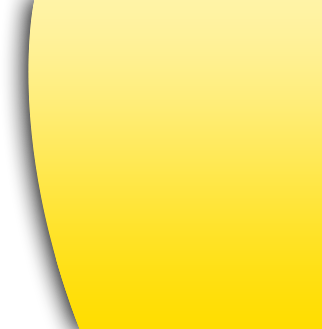 Ball applies a bar width reduction (BWR) factor during design reproduction. This allows for dot gain during the print process. Every barcode needs a quiet zone (also known as “light margin”). This quiet zone is used by the barcode scanner to identify the background contrast of the barcode. It also safeguards the barcode for readability errors. It is not allowed to place any other graphic elements within the barcode background. The size of the quiet zone depends on the type of barcode.See the EAN / UPC symbol specification section on this website for exact measurements. 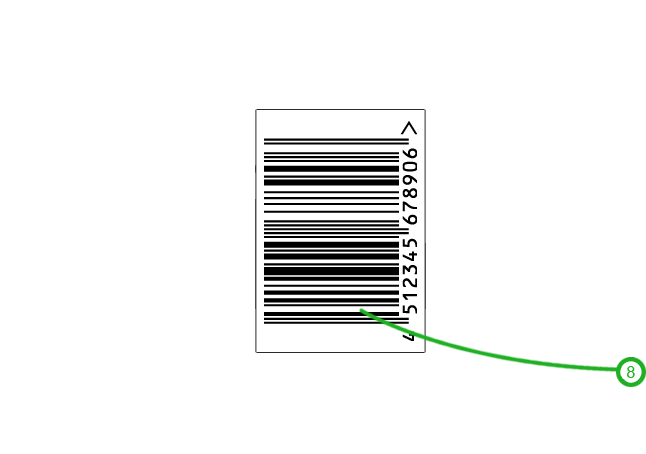 It is not possible to change the shape of a barcode into a graphical element. The barcode does not read at the checkout operation. NB. 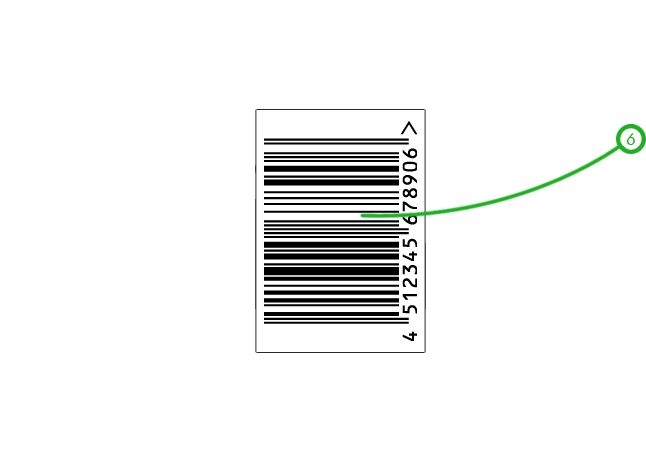 It is possible to change part of the barcode into a graphical element as long as the unshaped barcode size resembles our specifications for height & width. 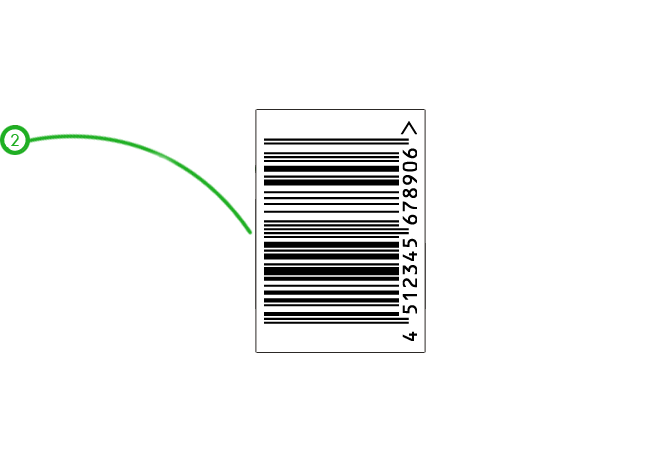 Today most products use a barcode for unique identification at their point-of-sale. It is the brand owner’s responsibility to obtain the barcode for their product. The organisation behind barcodes is GS1. GS1 is a global non-profit organisation with member organisations in over 100 countries. GS1 is dedicated to the design and implementation of global standards and solutions to improve the efficiency and visibility of supply and demand chains globally. The barcode is the data carrier that encodes a GTIN (Global Trade Item Number). This is the worldwide code system used for uniquely identifying any type of product. There are many different types of code solutions available from GS1, each with their own unique & specific requirements. We therefore advise you to contact GS1 in your country for the latest information with regards to rules & legislation to uniquely code your product.